I’ve always preferred running outdoors. As I was learning to become a trainer one of my mentors broke down the biomechanics of running outside vs on a treadmill for me and I’ve only stepped foot on a regular belted machine twice since then (I don’t count Woodway in Dynamic Mode). But today, running across the Williamsburg Bridge on my way to work (#100trainingdays Day 15) something struck me that I hadn’t expected; another reason to love running outside. 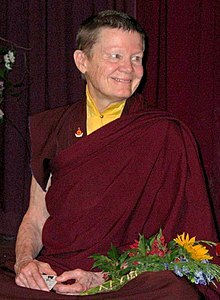 I’ve recently returned to the writings of Pema Chödrön, and much of what I’ve read this week has focused on befriending yourself and to stop rejecting yourself. The idea is relatively simple in concept, but has been difficult in application: feeling things like “if only I ate better I’d be better”, “I have to (lose this weight/gain this weight/change somehow”, or “If I didn’t have a temper I’d be a better person” is bruising to yourself. You’re not accepting your own nature; it’s the opposite of loving and accepting yourself. But we all do it all the time. In addition, we are constantly judging others as a reflection of ourselves. So back to this morning. I’m running across the Williamsburg bridge, running to work as part of my #100trainingdays challenge. I’m doing everything I’ve set out for myself – my time is faster than I’d planned, I’m pushing through my allergies – hell! I’ve worked out every day for 2 damn weeks! And then I stop myself in the moment of realization that instead of celebrating how far I’ve come I’m agonizing over what I can’t do; and at the same time picking apart what someone else can. Oh, Pema! I never would’ve connected to those things in the gym. When I do cardio on a stationary machine I am, myself, stationary. My mind focuses on my music, the trainer on the floor, the crap on television. I’m disconnect from my body and it’s own narratives; ignoring what’s going on inside me and around me. There’s no enjoyment of the environment. Running outside is as much about what’s going on IN me; in addition to the wind and weather, the leaves and river. I’m grateful for the run. Grateful for the lesson. Grateful for what I can do now.